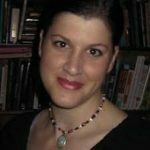 Whether you’ve just created a breathtaking contemporary art quilt or you’re the proud owner of a totally traditional vintage hand-pieced quilt you’ll treasure and pass down as a family heirloom, perhaps you’re puzzling over just how to display it. 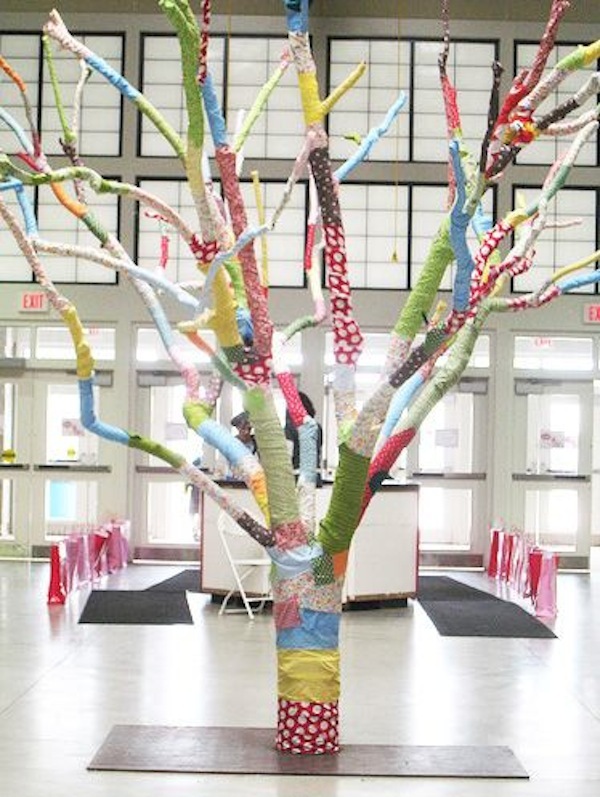 (The tree above seen as decoration at a quilt show is probably not an option, but we love the look.) First of all we know you want to be able to enjoy your quilt(s) every day and share it or them with friends and family. Here are some clever ideas we’ve recently discovered. A quilt can be stunning when hung at the head of the bed. 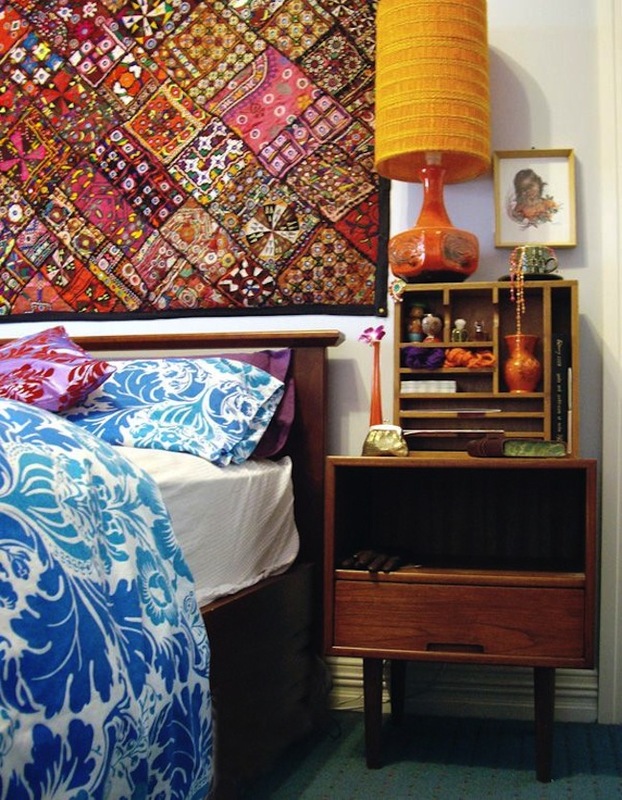 Here a Mid-Century bedroom accented with vintage pieces is one such setting. Pink is a color that enhancing the beauty of vintage furniture and decorative accessories. 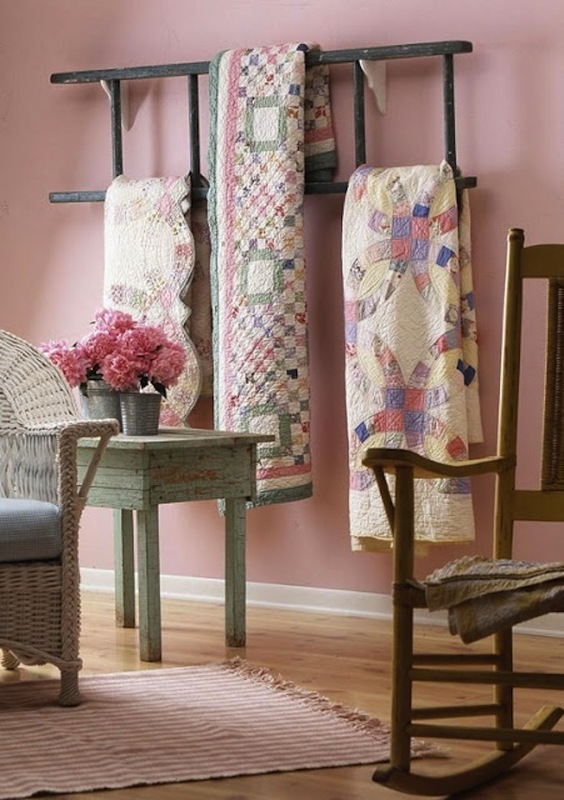 The room above with pink walls as background for antique quilts hung carefully over vintage ladder hung horizontally on the wall. 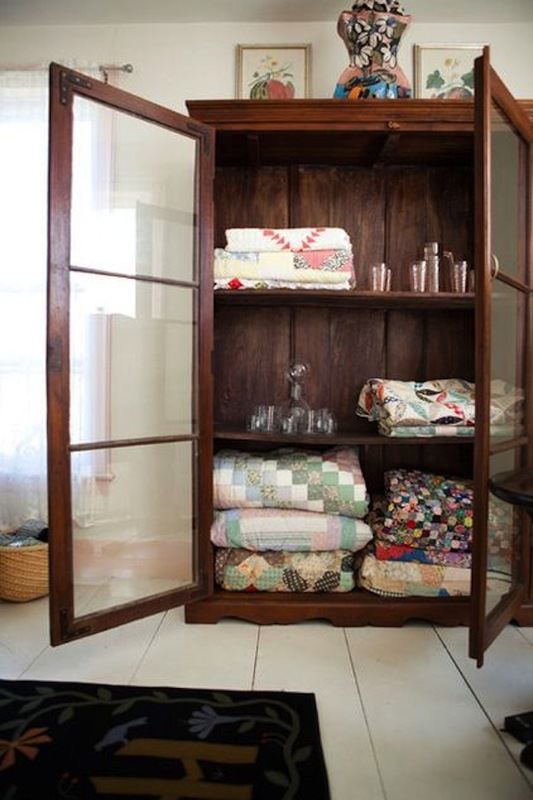 A glass-fronted cabinet is a great way to display folded quilts. Just be sure to air out, then refold your quilted treasures so fold lines don’t mar them. 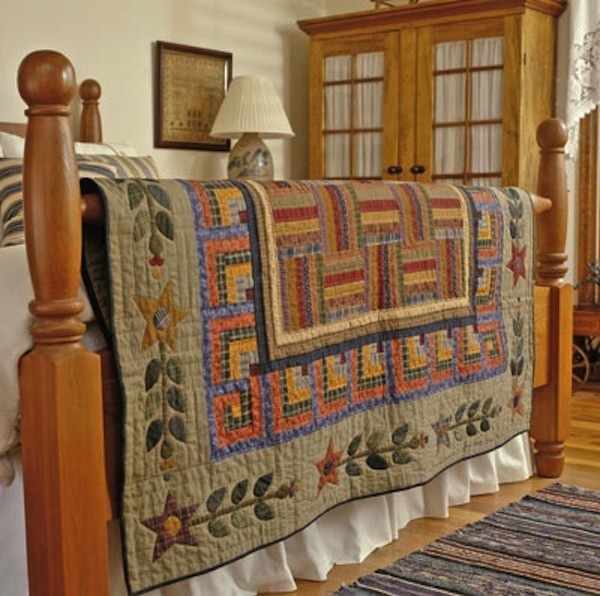 Draped over the footboard, this quilt in autumn hues brings a warm and cozy feel to the bedroom. 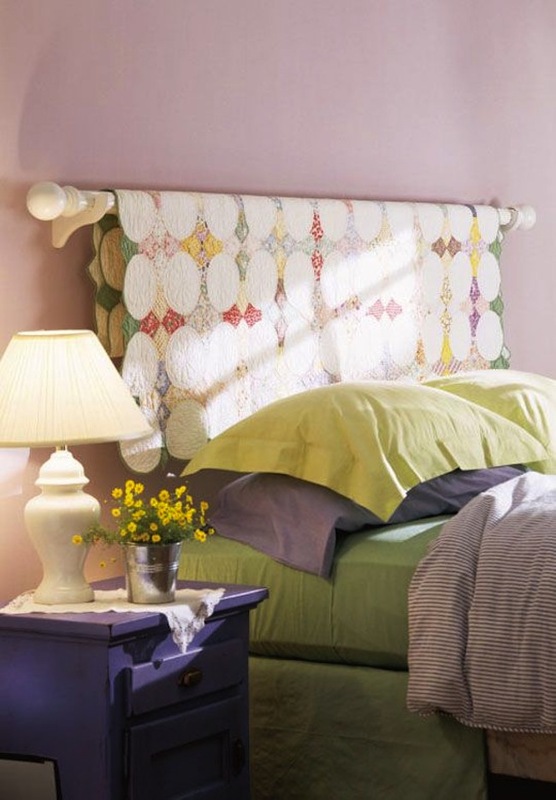 A bed without a headboard can be enhanced by the beauty of a quilt cleverly hung from a wood rod held steady by wooden (or wrought iron) brackets. For a baby’s quilt, a straight forward approach to display can work best. 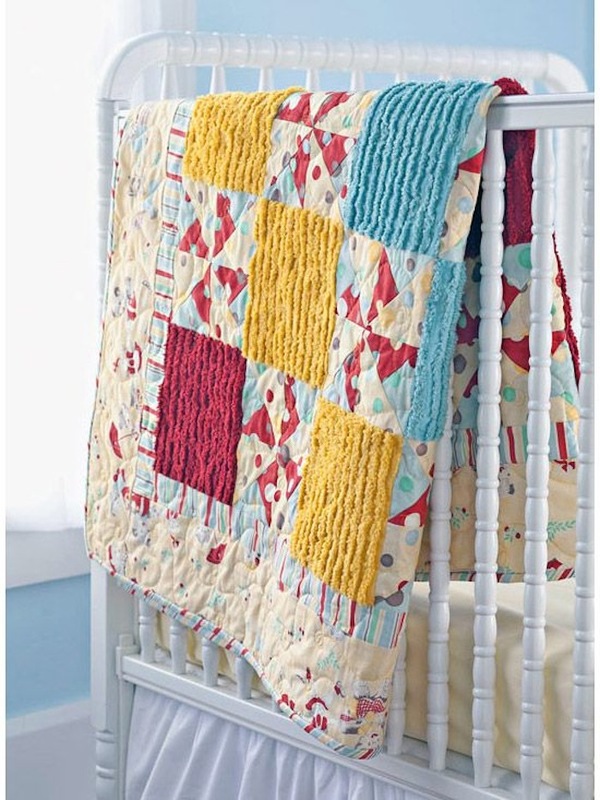 Here a lovely chenille accented quilt is simply hung over the side of the crib. Remember to remove it when baby is in the crib. 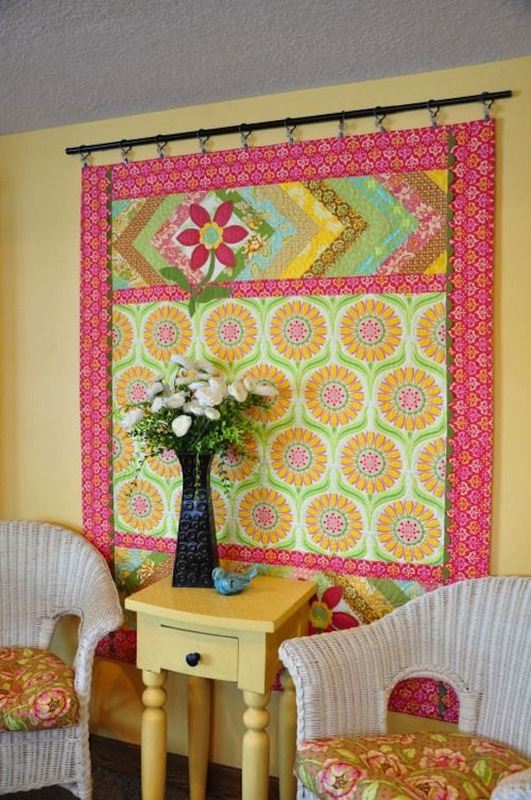 A living room, sitting room or bedroom can be made more beautiful by hanging a colorful quilt from a wrought iron rod behind an end table and pair of chairs. 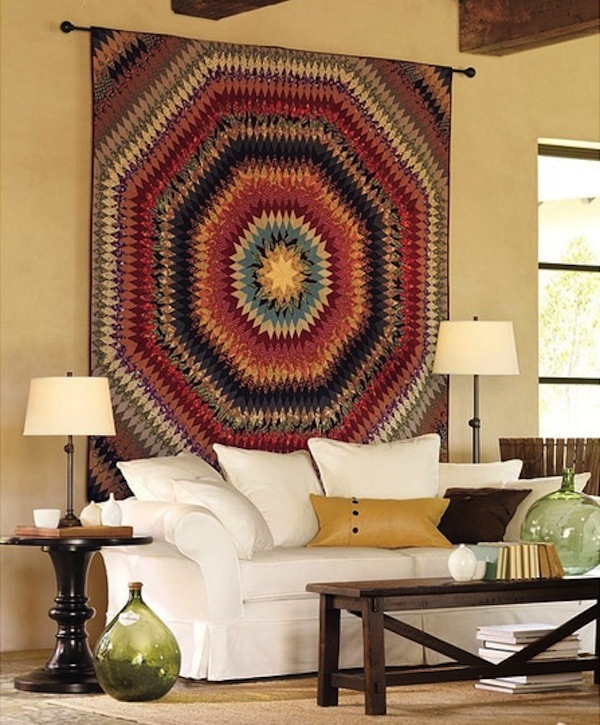 A large quilt works beautifully when hung behind the sofa in a living room with tall ceilings. 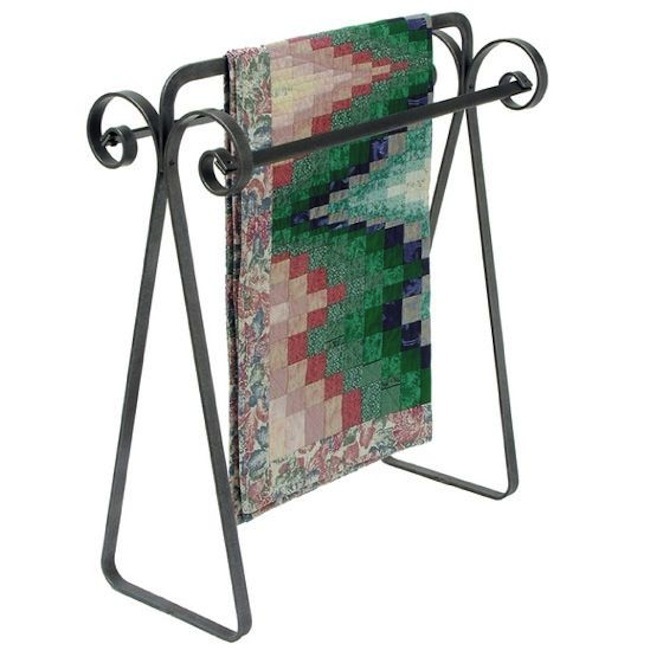 Of course, our favorite way to display a quilt is to fold it over a wrought iron quilt stand. The Scroll Quilt Rack by Enclume is a perfect example of the beauty of wrought for quilt display. 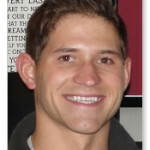 Image Sources: Pinterest.com; FarmChicks.typepad.com; ApartmentTherapy.com; AllPeopleQuilt.com; EyeForDesignlfd.blogspot.com: CandiMandi.typepad.com.